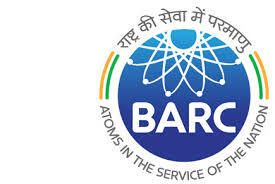 Nurses Job vacancies in Bhabha Atomic Research Centre (BARC) on Adhoc basis. Qualification : i) 12th Standard and Diploma in Nursing & Midwifery (3 years Course) plus Registration as Nurse with Maharashtra Nursing Council OR (ii) B.Sc. (Nursing) with Registration with Maharashtra Nursing Council; OR (iii) Nursing ‘A’ Certificate with 3 years experience in hospital or Nursing Assistant Class III & above from the Armed Forces 2. Experience Candidate with ICCU/Operation Theatre experience will be preferred. Basic Computer Knowledge is essential as the Nurse will have to enter the details of the patients in the Computer System. Day & Date of Interview and Time of Interview : Monday, February 19, 2018 at 1000 hrs. Reporting time for Interview : Forms will be issued from 0830 hrs to 0900 hrs on the same day and will not be issued beyond 0900 hrs. Venue: Conference Room, Ground floor, BARC Hospital, Anushaktinagar, Mumbai 400 094.